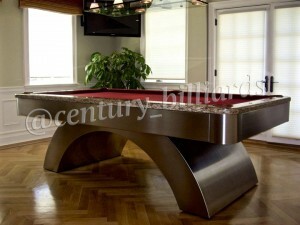 Looking to make a statement in your New York home with a custom pool table? 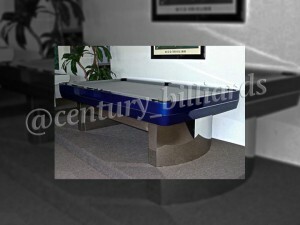 The most discerning customers choose Century Billiards & Game Room. 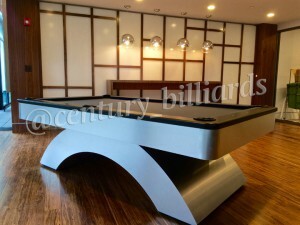 Combining old-world craftsmanship with modern technology, we have been able to create a line of custom billiard tables found nowhere else. 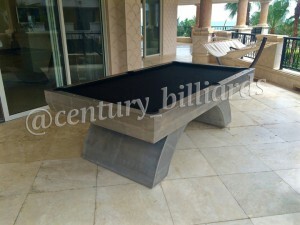 When looking to purchase a pool table there are six things that you need to look at. 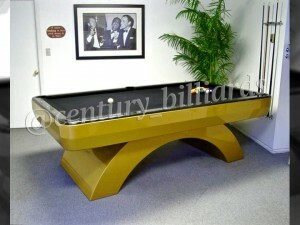 A correctly built pool table will last for many years, and if properly maintained, can even become a family heirloom. 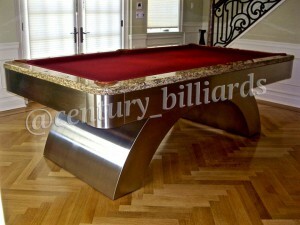 This is why we pride ourselves on providing only the highest quality materials for all of our custom pool tables. 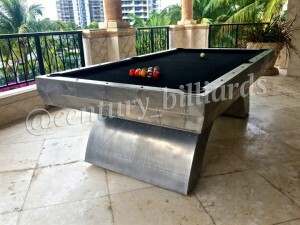 We offer our clients in New York and throughout Long Island modern style high tech aluminum pool tables, with optional stainless steel accents. 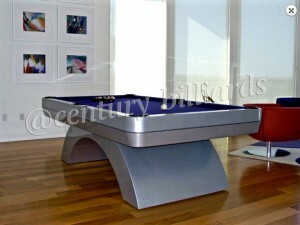 We also offer solid stainless steel pool tables with optional granite rails. 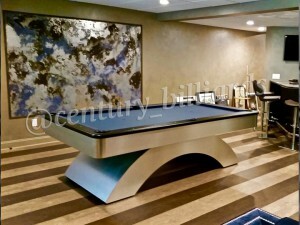 We use only the finest materials, including select exotic hardwoods. 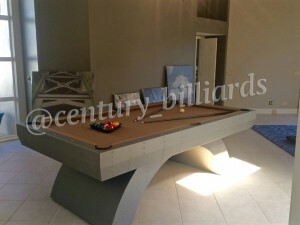 Speak with a game room specialist at Century Billiards & Game Room to learn more about our unique, handcrafted modern style pool table collection. 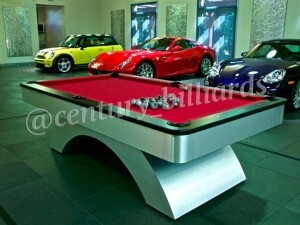 Feel free to browse our gallery to the right to see some of our custom built pool tables. 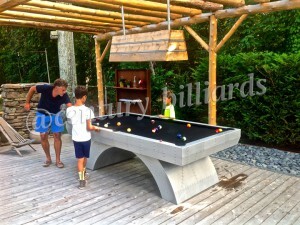 If there is something you like, we can recreate it or customize it to your specifications.